“The customer is always right.” Well, this is up for debate. Yes, our clients are special and they might always be right for some things, but we are just as special. They need us, our skillset and services, as much as we need them. Do also be bear in mind that what we’re selling a premium service. We need to generate sales. However, as premium service providers, we only tap on individuals who are open to our services and invites our presence warmly. You don't need to come chasing after every person you meet at networking events. You only need to share and offer your valuable services to those who communicate their needs. Don't waste your time on people who will never buy. Again, you are a premium service provider who has authority and integrity. You offer top-notch services exclusively. Know your value and instill that in your heart. This can fast-track your sales cycle to find the ideal clients for your business. This is just one of the many ways of hand-selecting the ideal clients to help you streamline your sales cycle effectively and efficiently. 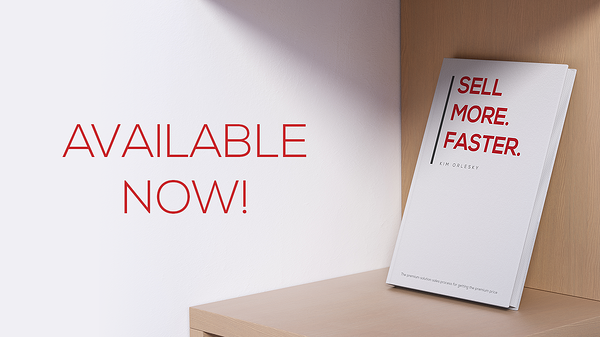 Go grab a copy of my book, “Sell More. Faster.” to find out more!